Thomas Sabo has come a long way since Sabo and creative director Susanne Kolbli founded the company in Germany in 1984. Establish a reputation for whimsical sterling silver charms and a sense of fun? Check. Expand into Europe and Asia? Check. Launch a line of watches and a new fragrance? Check. 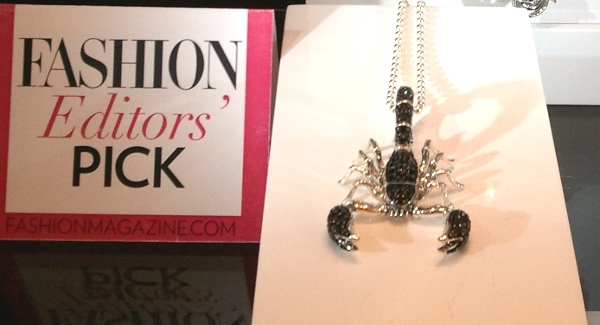 Now Thomas Sabo has its sights set on Canada. They opened their first location in Toronto in 2011, and this month they opened their first Vancouver location at Oakridge Centre with a swish party co-hosted by Fashion magazine. 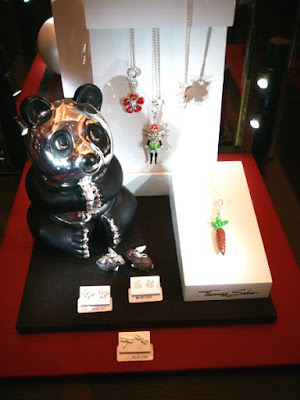 According to Thomas Sabo's PR manager Martin Hurtig, the store's dragon wallpaper walls, red accents and display case pandas are supposed to reflect the latest collection's theme, 1930s Shanghai. The store's decor changes accordingly every season. From what I saw, there's something to suit everyone's tastes. Classic girls will love the filigree-like silver feathers, crystal-encrusted butterfly pendants and pearls. Rocker girls, meanwhile, will gravitate toward edgier pieces like an oversized scorpion pendant. 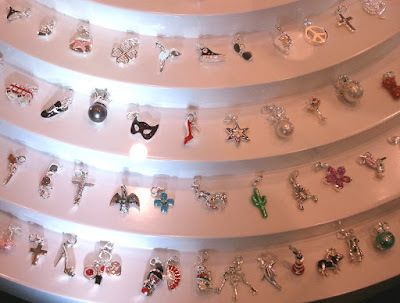 Girls looking for fun pieces will appreciate the bewildering selection of silver charms with enamel accents. As for the guys, some of my favourite pieces included woven leather bracelets with silver clasps and fleur de lis cufflinks. 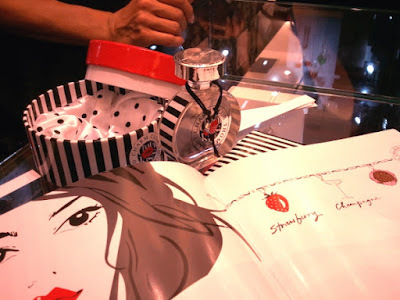 I also had a chance to try out Thomas Sabo's new fragrance, Charm Rose, while I was there. The verdict: this gourmand scent featuring notes of strawberries, champagne and dark truffles is delicious without being cloying and reminds me a bit of passionfruit. Thanks to Thomas Sabo and Faulhaber PR for the invitation to see the new store! For more information or to see the full selection of jewelry, check out the Thomas Sabo website. Love the dragon wall paper as I am very much intrigued by 1930's Shanghai. All the charms look really adorable. Looks like fun! I have so much to tell you!! Write me lady!! Thanks for sharing your experience at the opening! Good to read that there are some pieces for guys too! 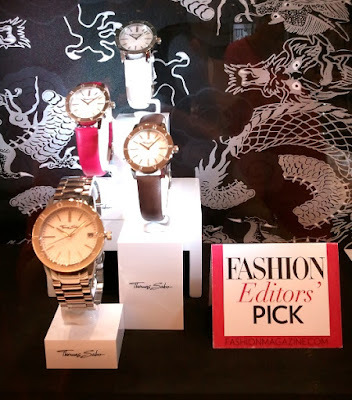 So happy that Thomas Sabo has arrived in Vancouver! David's dad gave me a charm bracelet about two years ago so my collection of charms has been increasing little by little through their trips to places that have the store. Can't wait to check out the other pieces. And so great that they change the store decor for each season!